Last weekend signalled the start of a busy period of time for the Rotary Club of Bishopdale Burnside Charitable Trust with the distribution of our collection bins for receiving donations of books, records, dvd’s, cd’s and jigsaws from members of the public. Bookarama 2019 will again be held at the Bishopdale YMCA Recreation Centre located near the Bishopdale Mall. 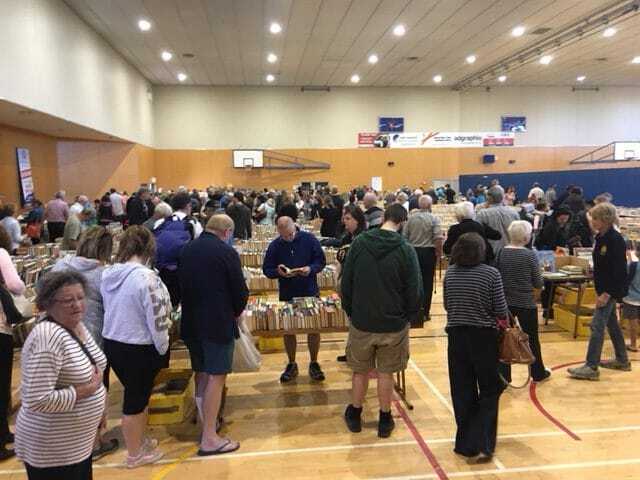 The popular Book Sale runs for 3 days and is now in it’s 14th year of operation. Good quality books and other items will be for sale at cheap prices. As usual the funds raised will be distributed to Rotary Community Projects in Christchurch and further afield. Previous recepients have included the Canterbury Charitable Hospital Trust.